The Boy Most Likely To(ur)! 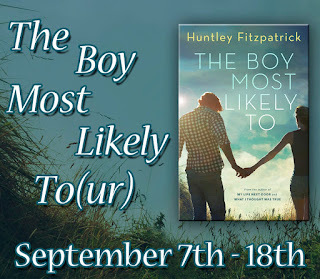 Welcome to Day #10 of The Boy Most Likely To(ur)! 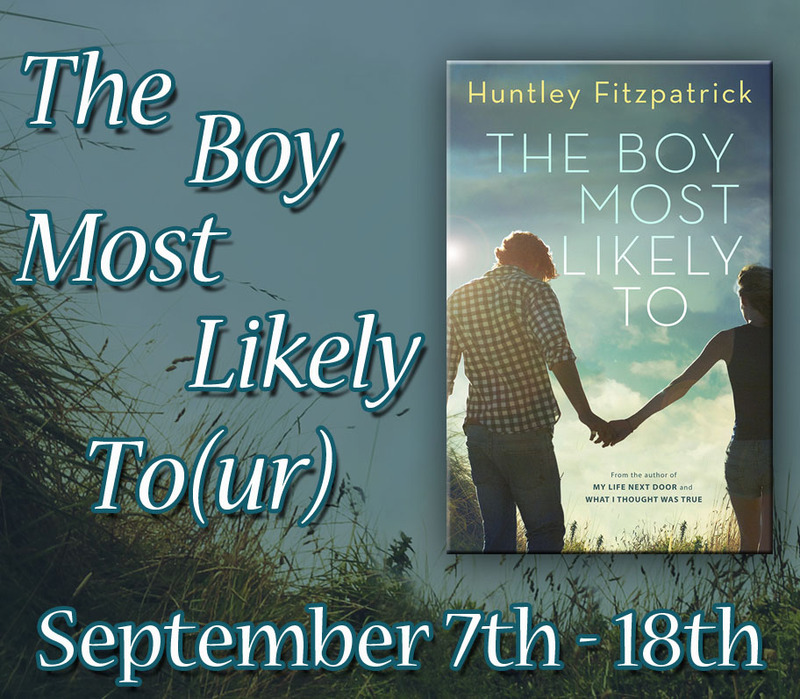 To celebrate the release of The Boy Most Likely To by Huntley Fitzpatrick (8/18/15), 10 blogs across the web will be featuring exclusive content from Huntley, as well as a chance to win a YA Goodie Basket in the Grand Prize Giveaway! Today, Huntley shares her experiences as a romance editor! But romance editor—except for writing, that was, and is, my. best.job.ever. I did it unpaid for a few months when I first started, and if it hadn’t been for the national-debt size rent of my refrigerator-sized NYC apartment and stuff like food and electricity, I could have kept on going with that. I would have paid THEM. That I practically ran, heels, heavy backpack, Grand Central station commuters and all, to work sounds like hyperbole, but it isn’t. I took six or seven slush manuscripts with me on vacation FOR FUN. Office meetings? Those things everyone dreads? I sure didn’t, when the things up for discussion were whether the Navy Seal trend has been overdone (answer, no sir! ), whether an author’s brilliant but offbeat romance was a flash in the pan or the beginning of a new genre, and how to wage another assault on the public perception that romances are lightweight books that no serious reader would read and no talented author would write. I battled that view in my own life—friends or family asking when I was going to get a real job with real books. But by the end of my second day on the job I was light years beyond being embarrassed by contributing to the world of romance. Why apologize, ever, for helping happy endings fall into the hands of those who love them and need them. (God knows I did, and do). I loved my colleagues—smart, funny, no-nonsense, literate. I loved the fact that there was no such thing as “a typical day” at work. But most of all: the authors. Reader, I loved them. And all the different ways I had to interact with them as part of my editor job. I got to call and talk to authors whose books I could quote whole paragraphs from (I swear, I only actually did that once or twice). I had authors who were assigned to me exclusively, which meant I got to follow their books through germ of an idea to polished manuscript handed to the printer, to watch all the work and heartache and commitment and love that went into that process. I got to call new authors—to make “the call” to tell them we wanted their manuscript—and that is one of the top ten best feelings in the world, listening to that long, indrawn shaky breath when they first hear those words. That’s the sound of someone’s dream coming true—and you get to hear it. I also had to call authors with bad news—that we couldn’t do their dream book, because it was too similar to another book we’d just signed, that the book of their heart hadn’t sold well, that this manuscript wasn’t up to par. And nine times out of ten, because there is something imperishable and indomitable about the urge to write, it would go like this… My reluctant statement of the bad news. Long slow breath out, hitching sigh from the author. Silence from both of us. Then, the author:…"Well, I guess we should talk about the next idea I have, where—"
Of all the lessons I learned at that beloved job, that’s the one that has stuck with me the most. That the difference between the long sigh of disappointment and the inhale of joy is just a few breaths, a few good ideas, a few thousand hours of writing and plotting and one essential thing: the belief that there is always, always room in the world for another love story. 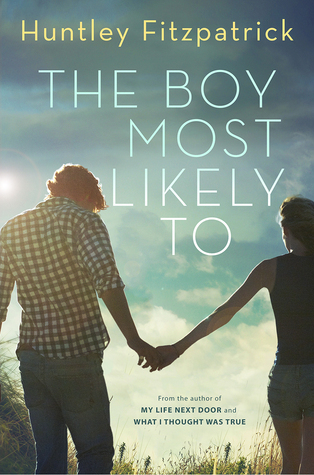 Today is the last day of The Boy Most Likely To(ur)! Be sure to check out the other stops for more fun content and chances to win! A surprising, utterly romantic companion to My Life Next Door—great for fans of Sarah Dessen and Jenny Han. Tim Mason was The Boy Most Likely To find the liquor cabinet blindfolded, need a liver transplant, and drive his car into a house. Alice Garrett was The Girl Most Likely To... well, not date her little brother’s baggage-burdened best friend, for starters. For Tim, it wouldn’t be smart to fall for Alice. For Alice, nothing could be scarier than falling for Tim. But Tim has never been known for making the smart choice, and Alice is starting to wonder if the “smart” choice is always the right one. When these two crash into each other, they crash hard. Then the unexpected consequences of Tim’s wild days come back to shock him. He finds himself in a situation that isn’t all it appears to be, that he never could have predicted . . . but maybe should have. And Alice is caught in the middle. Told in Tim’s and Alice’s distinctive, disarming, entirely compelling voices, this novel is for readers of The Spectacular Now, Nick and Norah’s Infinite Playlist, and Paper Towns. For the blog post comment entry, answer the question: Which couple from Huntley's books is your favorite (whether they're actually together in the books or not)?